Ernest “Ernie” Bileski beloved partner of Rosella Derin of Preeceville passed away on Saturday, November 10 at the Preeceville and District Health Centre. He was seventy nine years of age. Ernie was born January 6, 1939 in Rama, Saskatchewan to Walter and Mary Belitski. Ernie attended Boxmoor Country School in Rama. He enjoyed fishing, hunting, travelling and spending time with his sons and Rosella. 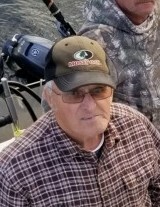 Ernie started work in Prince Rupert, BC in 1956 until 1962, he then worked at Goodyear in Toronto from 1963 to 1964 where the oldest son Randy was born. He came back to Preeceville in 1965 and opened a grocery store with Eleanor and worked there until 1989 when he sold the store. This is where Kurt was born on May 17, 1966 and Kevin on January 1, 1969. Ernie then went to work in the bush with various contractors from 1990 until 2004. After that Ernie & Rosella retired in Preeceville. Ernie leaves to cherish his memory, Rosella Derin, sons; Randy, Kurt (Sheila), & Kevin (Wynn), grandchildren; Kyle, Devin, Nicole, Riley and Shinaye. Russell Antonio (Twila), Brant Derin (Carrie) and their children Skyler, Jayden & Kyra. Ernie was predeceased by his parents Walter & Mary, brothers, Edward, Edmund and Lawrence and sister Verna.